Sitka Farmers Market Interim Manager Garrett Bauer, left, and Co-Manager Francis Wegman-Lawless, right, present the Table Of The Day Award to Peter Apathy and Carole Knuth of Reindeer Redhots at the fourth market of the season on Saturday, Aug. 17, at the Alaska Native Brotherhood Founders Hall in Sitka. Peter and Carole sell Alaska-made reindeer and all-beef hot dogs and Polish sausage, with sauerkraut and chili sides from their cart, which is open at the corner of Lincoln and Lake streets on most big cruise ship days (http://reindeerredhots.com/). 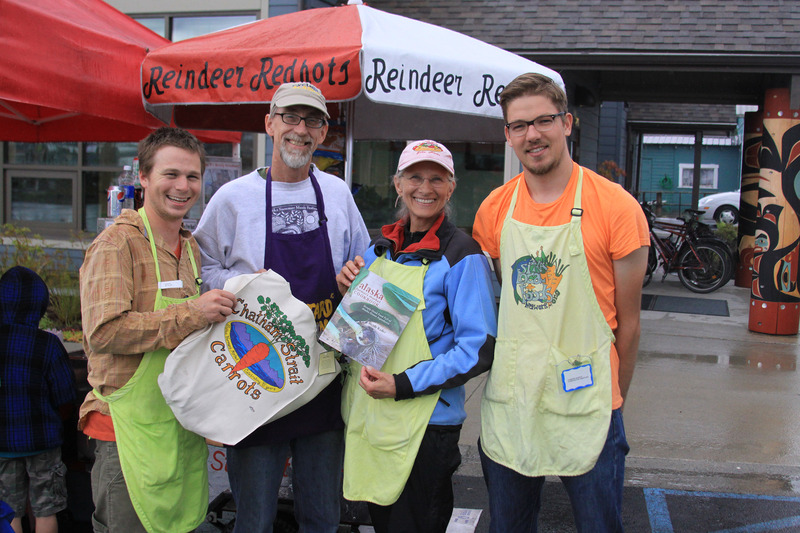 They received a gift bag with fresh produce, fresh rhubarb jam and a copy of the Alaska Farmers Market Cookbook. This is the sixth year of Sitka Farmers Markets, hosted by the Sitka Local Foods Network. The next market is from 10 a.m. to 1 p.m. on Saturday, Aug. 31, at the Alaska Native Brotherhood Founders Hall, 235 Katlian St. For more information about the Sitka Farmers Markets and Sitka Local Foods Network, go to http://www.sitkalocalfoodsnetwork.org/. The fourth Sitka Farmers Market of the 2013 summer took place on Saturday, Aug. 17, at the Alaska Native Brotherhood Founders Hall, 235 Katlian St.
For the first time this summer, we had to deal with a bit of rain during the market, but the downpour was only temporary. We still had a decent crowd, and there were even a few new booths. The fifth Sitka Farmers Market of the season takes place from 10 a.m. to 1 p.m. on Saturday, Aug. 31, at ANB Founders Hall. 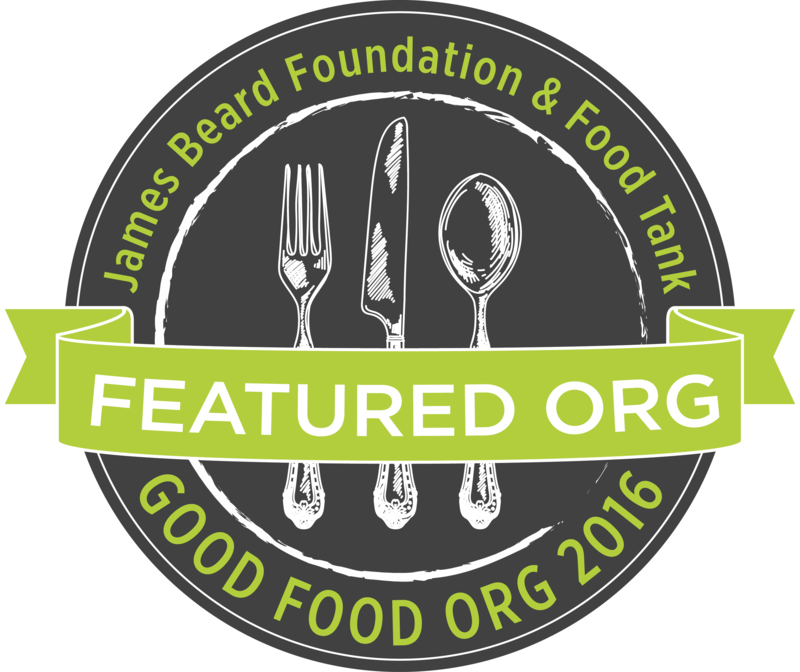 To learn more, watch this site for updates. A slideshow with scenes from the fourth market is below. 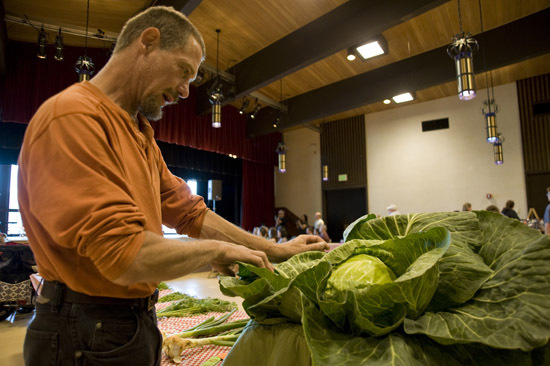 The Monday, Aug. 12, 2013, edition of the Daily Sitka Sentinel included a photo of local gardener Keith Nyitray with his winning cabbage from the Sitka “state” Fair held Sunday, Aug. 11, at Harrigan Centennial Hall. 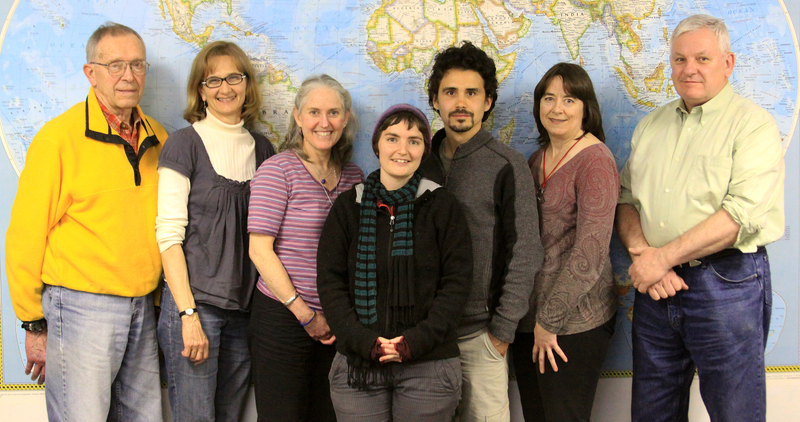 The second annual Sitka “state” Fair was hosted by the Greater Sitka Arts Council. More details about the event and some of its contests can be found here. 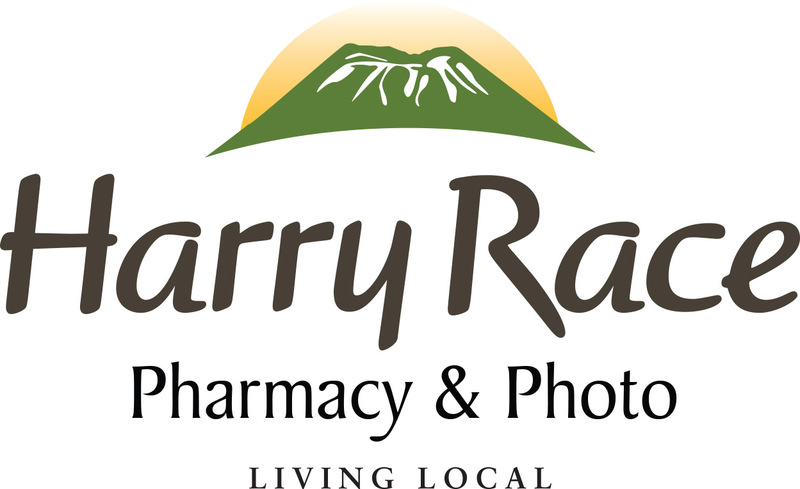 The Friday, Aug. 9, 2013, newscast on KCAW-Raven Radio featured a story about how Sitka residents on food stamps can double their Alaska Quest Card/EBT benefits at the Sitka Farmers Market. 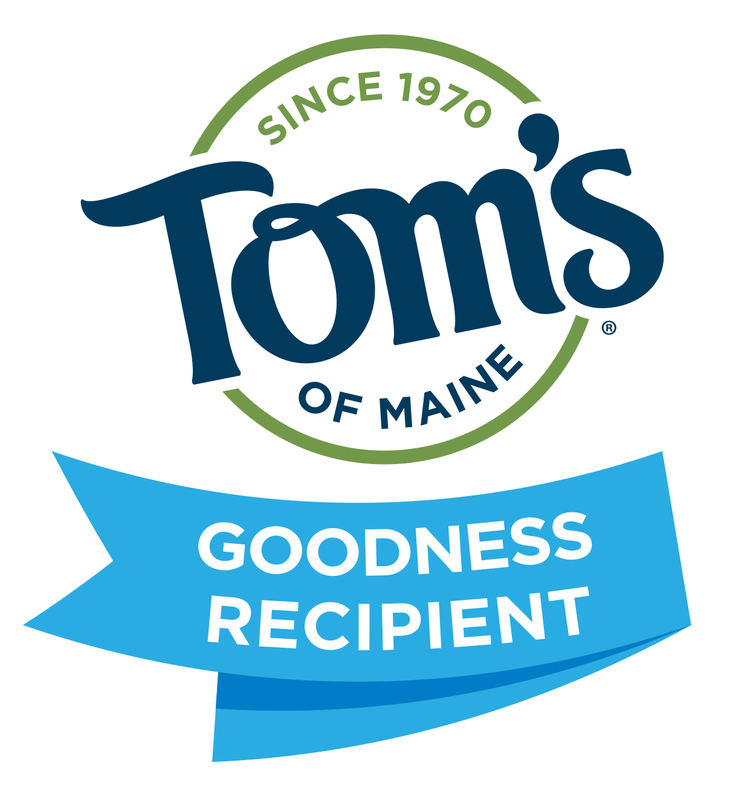 The Alaska Quest Card is an EBT, or Electronic Benefits Transfer, program that helps people on food stamps pay for food at local grocery stores. 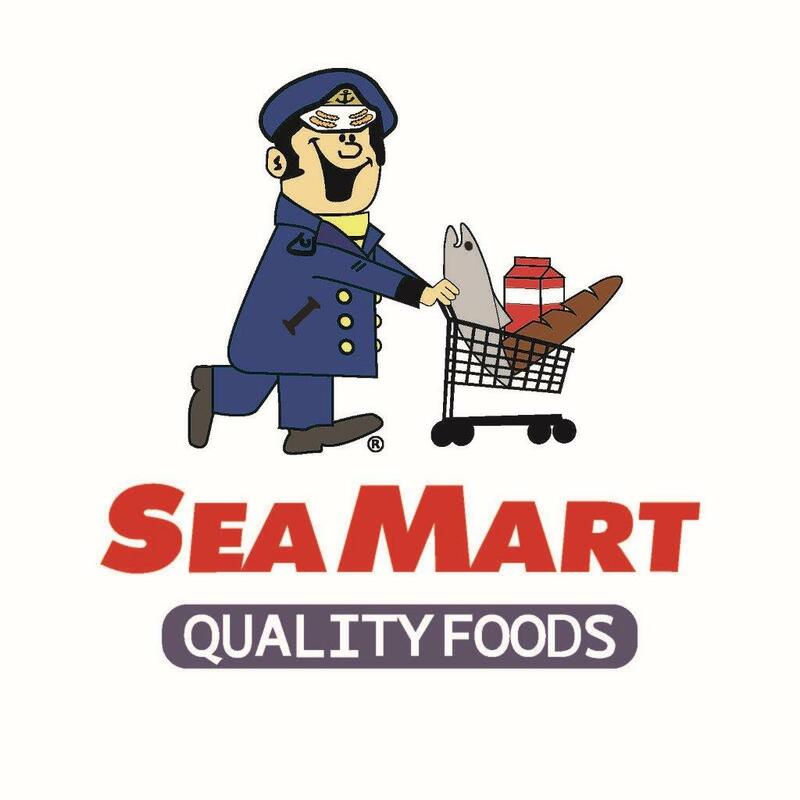 Their monthly EBT benefits are loaded onto their Alaska Quest Card, and an amount is deducted from the card each time they buy food. 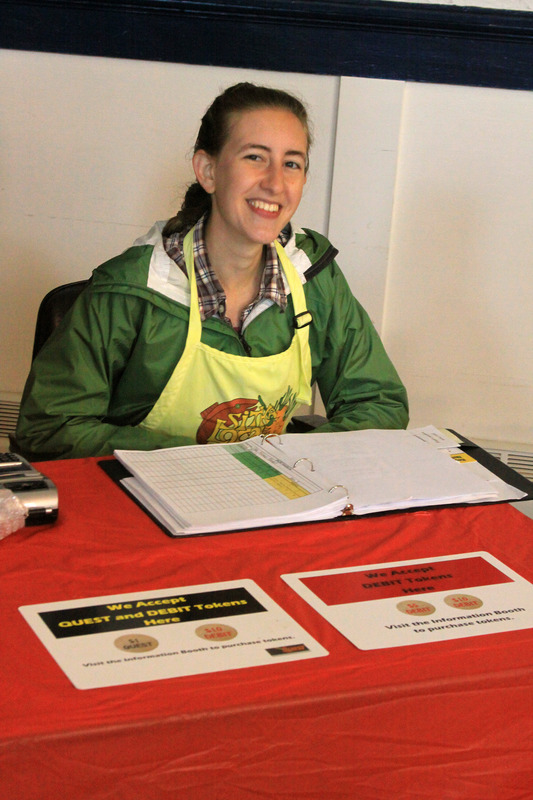 Starting last year, the Sitka Farmers Market joined several Alaska farmers markets in accepting Alaska Quest Cards/EBT benefits, and this year the number of markets accepting EBT has grown to 11 markets in Alaska. Since many farmers market vendors aren’t set up to accept charge cards, people on EBT benefits can use their cards to buy tokens (wooden nickels) at a booth at the Sitka Farmers Market, and they then can use the tokens to purchase fresh food from participating vendors. The Alaska Quest Card/EBT booth also sells a second type of token that people not on EBT benefits can use to purchase food and other items (including arts and crafts) from participating vendors. This second token allows vendors who aren’t set up for credit/debit cards to still make sales. 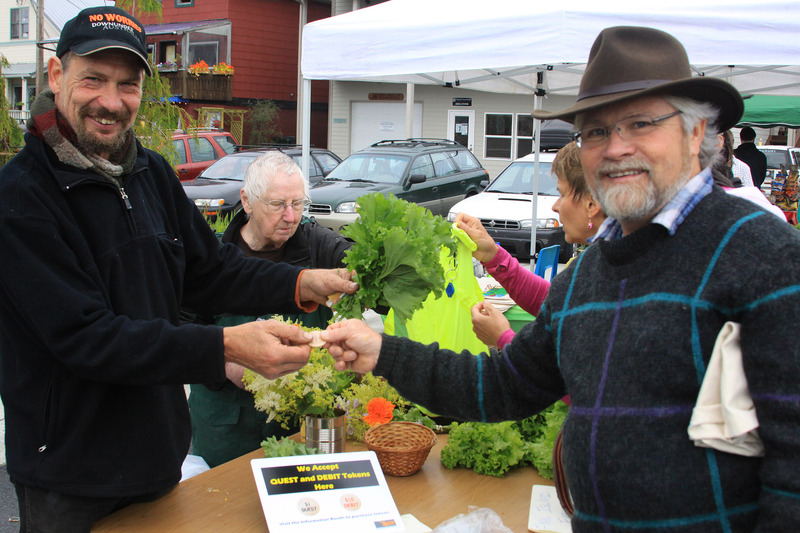 Kerry MacLane uses a token to purchase produce from Sitka Farmers Market vendor Keith Nyitray during the Aug. 3, 2013, Sitka Farmers Market. 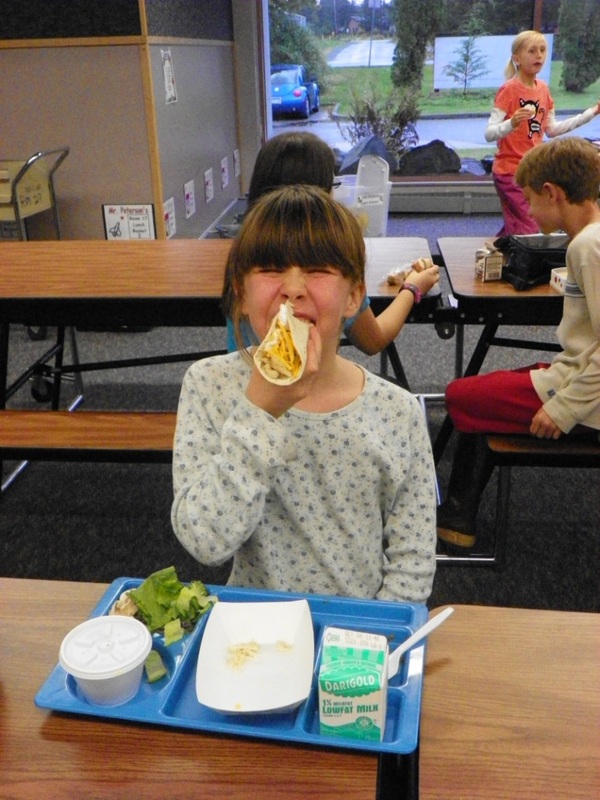 The KCAW story focused on Sitka resident Stacie Joseph, who uses EBT benefits to help pay for her food for her four kids while she attends school. 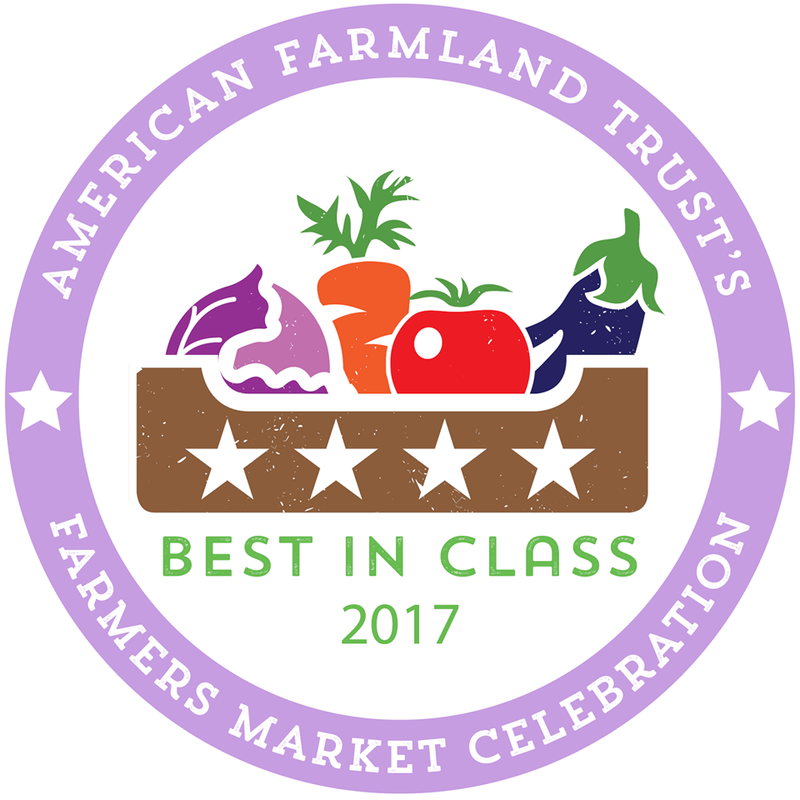 Because of a grant from the state, various Alaska farmers markets are able to provide double the benefits for people using EBT benefits. 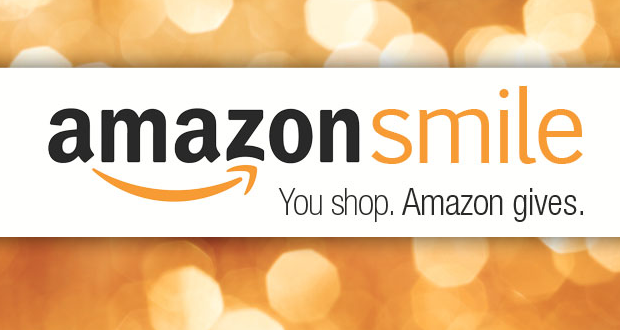 For example, if someone wants to use $20 of their EBT benefits, they’ll receive $40 worth of tokens. Joseph said the doubled benefits mean that in addition to providing healthy fresh produce for her family, she can have more money available to use on her health management classes at the University of Alaska Southeast-Sitka Campus, helping her improve her earning potential. 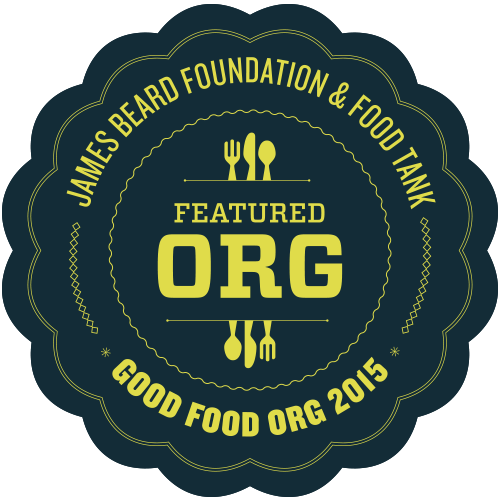 “This program improves access to fresh, local foods to community members who are struggling financially. 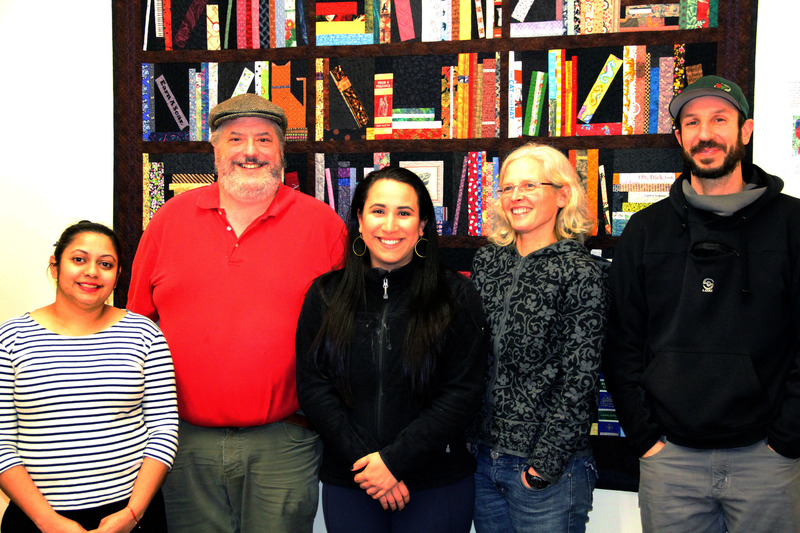 Additionally, the program helps increase understanding of food insecurity issues in our community and how produce and other food vendors can be part of the solution,” said Lisa Sadlier-Hart, president of the Sitka Local Foods Network board of directors, which hosts the Sitka Farmers Markets. 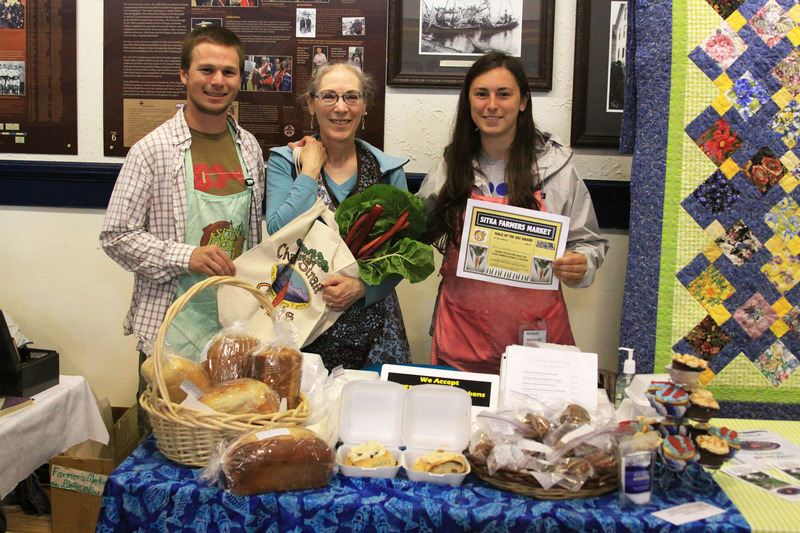 Sitka Farmers Market Co-Managers Garrett Bauer, left, and Sabrina Cimerol, right, present the Table Of The Day Award to Pat Hanson of Hanson Baked Goods at the third market of the season on Saturday, Aug. 3, at the Alaska Native Brotherhood Founders Hall in Sitka. Pat sells home-baked bread, cinnamon rolls and other treats at the markets. She received a gift bag with fresh produce, fresh rhubarb jam and a copy of the Alaska Farmers Market Cookbook. This is the sixth year of Sitka Farmers Markets, hosted by the Sitka Local Foods Network. The next market is from 10 a.m. to 1 p.m. on Saturday, Aug. 17, at the Alaska Native Brotherhood Founders Hall, 235 Katlian St. For more information about the Sitka Farmers Markets and Sitka Local Foods Network, go to http://www.sitkalocalfoodsnetwork.org/. On Saturday, Aug. 3, Sitka had not one, but two major local foods events in town — the third Sitka Farmers Market of the season at the Alaska Native Brotherhood Founders Hall and the fourth annual Sitka Seafood Festival at the Sheldon Jackson Campus. The Sitka Farmers Market was a little bit smaller than normal because some vendors had booths at the Sitka Seafood Festival, but there still was a decent crowd, especially after the early morning rain ended and the weather cleared up. There were a couple of vendors who had booths at both events. The Sitka Seafood Festival, which had events from Thursday to Sunday, Aug. 1-4, opened Saturday morning with a parade from Totem Square to Sheldon Jackson Campus, where most of Saturday’s events took place. Both events featured local food, arts and crafts, and entertainment. 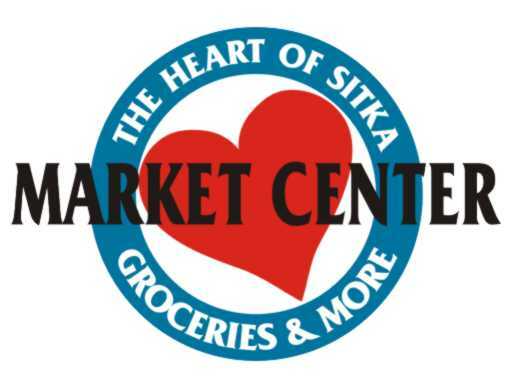 The fourth Sitka Farmers Market of the six planned this summer will be from 10 a.m. to 1 p.m. on Saturday, Aug. 17, at ANB Founders Hall. 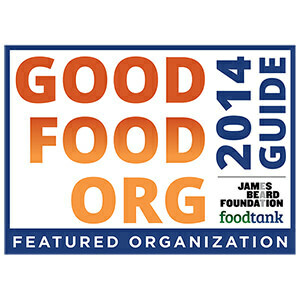 To learn more, keep watching this site. A slideshow of scenes from the third Sitka Farmers Market of the season is below, with a slideshow from the Sitka Seafood Festival below that. 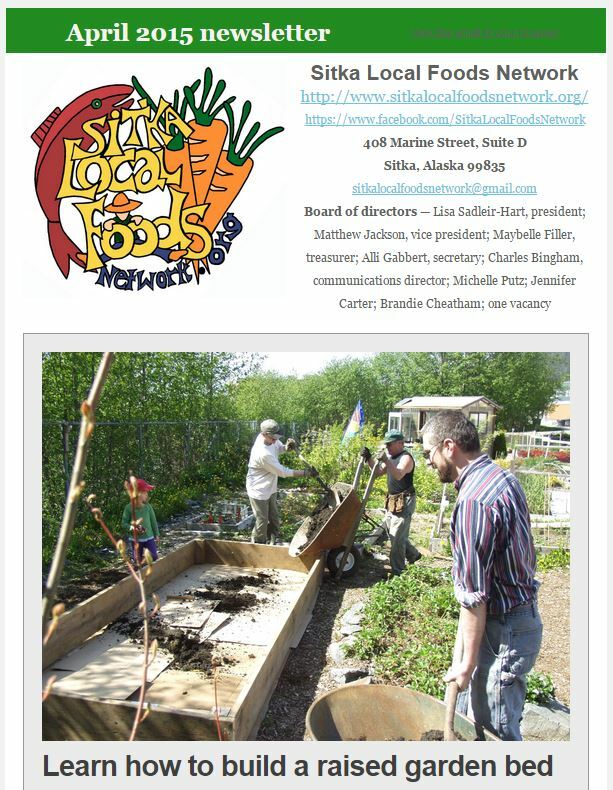 Are you interested in meeting other Sitka gardeners and learning about how to grow food in Sitka’s rainy climate? Then join us for garden work parties at St. Peter’s Fellowship Farm. 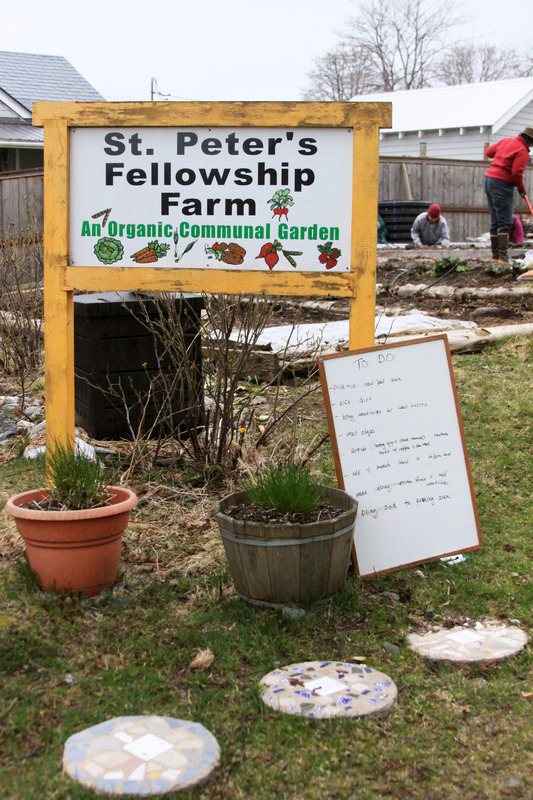 St. Peter’s Fellowship Farm is located behind St. Peter’s By The Sea Episcopal Church on Katlian Street (the brown church with the steeple above Crescent Harbor). It is a communal garden that grows food to be sold at the Sitka Farmers Markets and used for various hunger programs around town. 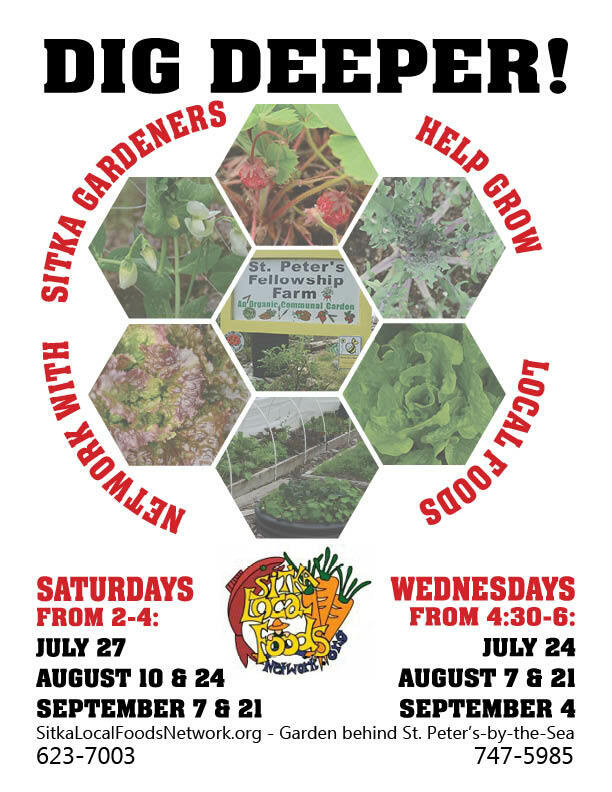 Garden work parties take place from 2-4 p.m. on the Saturdays when we don’t have a Sitka Farmers Market, and from 4:30-6 p.m. on the Wednesdays right after our markets. The remaining Sitka Farmers Markets this year are from 10 a.m. to 1 p.m. on Saturdays, Aug. 17, Aug. 31, and Sept. 14, at the Alaska Native Brotherhood Founders Hall. That means there will be garden work parties at St. Peter’s Fellowship Farm from 2-4 p.m. on Saturdays, Aug. 10, Aug. 24, Sept. 7, and Sept. 21. 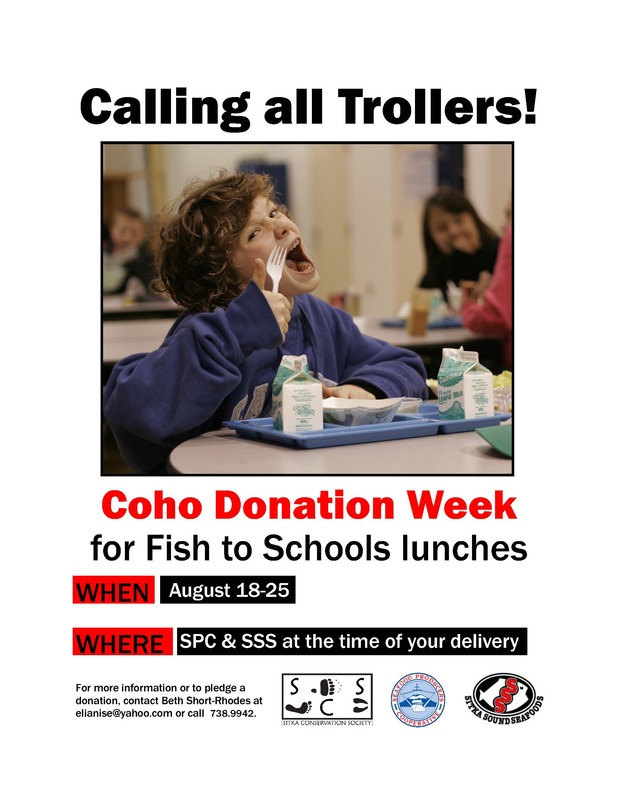 In addition, there are a few Wednesday afternoon work parties from 4:30-6 p.m. on Aug. 7, Aug. 21, and Sept. 4. Garden work party duties include weeding, trimming plants, picking slugs, planting late-summer and fall crops, and harvesting. During the work parties, people are able to purchase ripe crops, and Alaska Quest electronic benefit transfer cards are accepted for people on food stamps. The work parties are kid-friendly, so feel free to bring the munchkins to help. 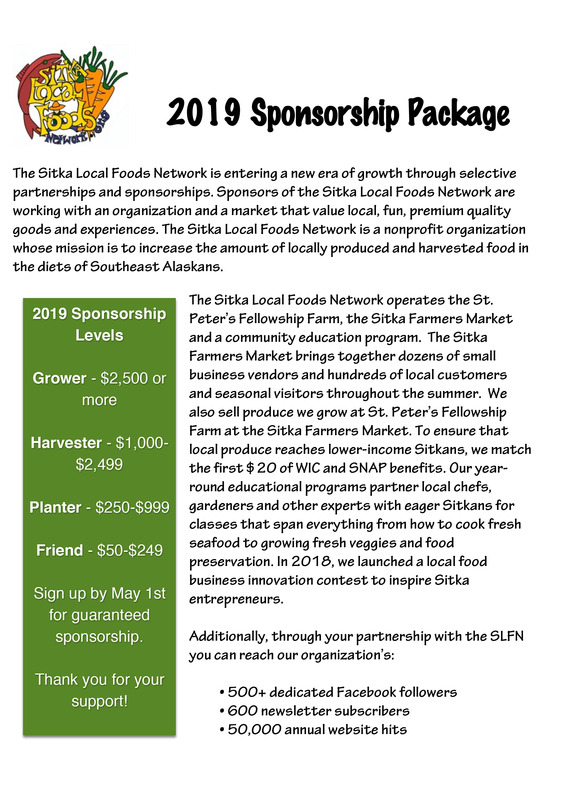 To learn more, call St. Peter’s Fellowship Farm lead gardener Laura Schmidt at 738-7009 or 623-7003, or contact Sitka Local Foods Network board president Lisa Sadleir-Hart at 747-5985 or sitkalocalfoodsnetwork@gmail.com.